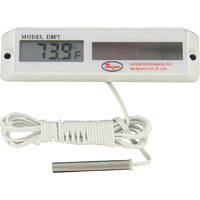 Digital Solar-Powered Bimetal Thermometer is easy to read and has an adjustable angle that can be mounted in virtually any position. Engineering units can be selected. An application of this product is HVAC duct monitoring. Digital Solar-Powered Thermometer monitors cold environments. 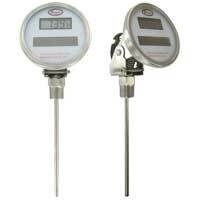 Helps monitor temperature fluctuations to preserve and prevent spoilage of food, medications, wines, and much more. 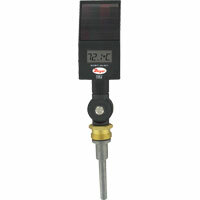 Solar Powered Industrial Thermometer measures temperature with no batteries or power cables. Excellent for reading in low light applications.